Unique opportunity to own this custom built remodel (2008), three bedroom, two bath, two car detached garage, Irish Lakefront and Channelfront property! Approximately 70 feet of Irish Lakefront and 60 feet of channelfront on the detached gargage, with pier and boat lift, plenty of waterfront for all your lake toys! 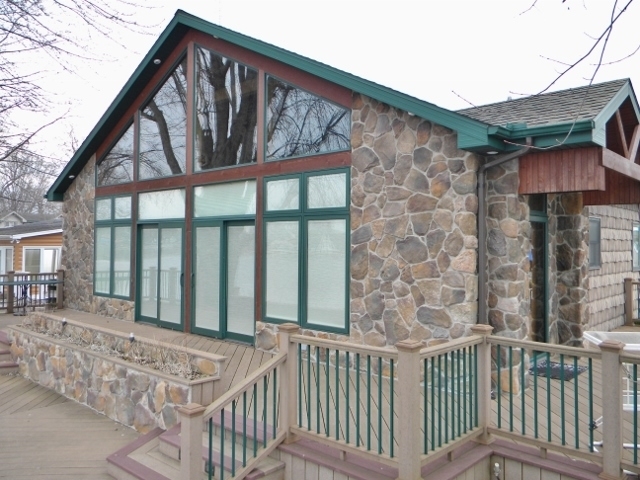 Awesome sunset views, open concept, island kitchen, granite counters, cathedral ceilings, hardwood floor, handcrafted wood staircase, heated tile flooring in the master bath, tile tub/showers, geothermal heat, gas fireplace, amazing lakeside glass, polywood deck, and firepit! Available fully furnished including appliances, jet ski&apos;s, boat lift (on the channel) and jet ski lifts, truly Turn Key vacation or year round home! Located on the Barbee Chain of Lakes with access to 7 lakes including All Sports Big Barbee Lake!